Online tickets have now ended, but tickets will still be available on the door. 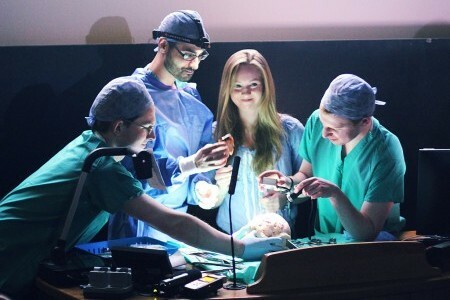 A live spectacle of simulated brain surgery performed by Edinburgh neurosurgeons: from injury to the operation itself. Audience participation encouraged!